“Perfection of effort is not required, by the way. to work that brings the progress. hoisting a fifty-pound barbell once a week. Hehe, eventhough quotes from Holly Mosier is more about body lifting, but for me that is a beautiful quotes which can be applied in every single side of this life. Slow and steady. You know, in the real world we seldom find something works instantly, except noddles, junk food, and Idols contest. Besides we need a process and work hard to get the things done. This hijab style post rely so much on that quotes. Slow and steady. Remember, slow and steady! You can't be just slow but you don't have any goals to reach. Besides that from my point of view slow here means be patience, so when we wanna reach something we can start little by little, step by step. 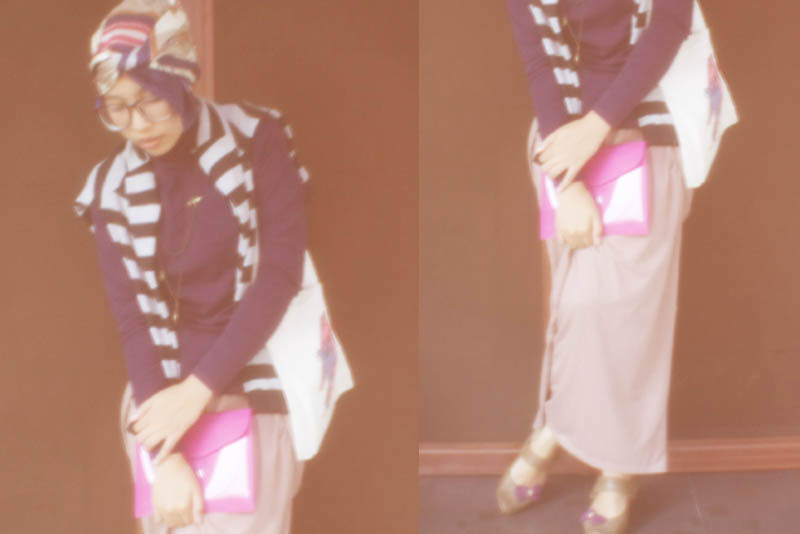 keren header barunya ,,,,suka banget ma wide pantnya ,,,give away masih berlakukah? Slow? 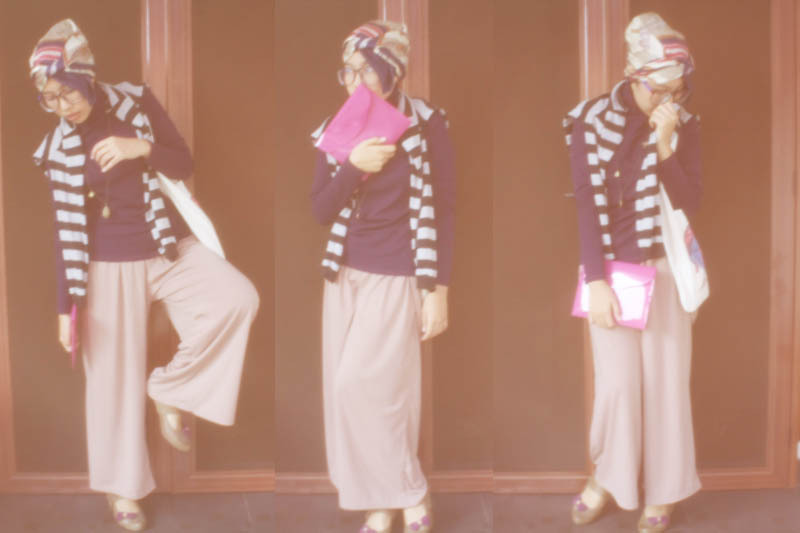 Your Hijab Style slow??? To me it looks like you;re going like a rocket :). Amazing pics full of dreamy atmosphere, totally love. love your photo and style.. Cool pics! Love the way you get some roles everytime you make a new post! love the color combination and also the blurry effect! 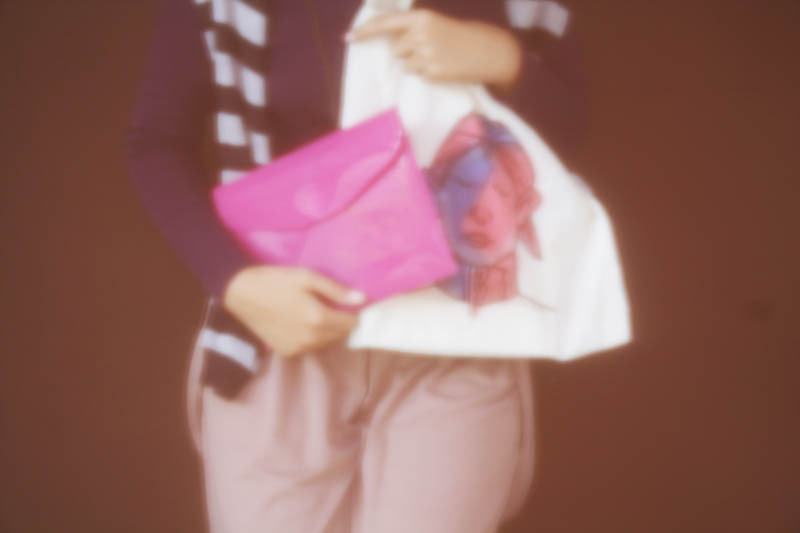 <3 kak besok dateng yukk ke enterpreneurday nya labschool :D dibuka untuk umum dari jam 8 loh! Nice pics!! Love the colors! I do like your style here a lot. This outfit is just amazing. And your pics have a fantastic allure! 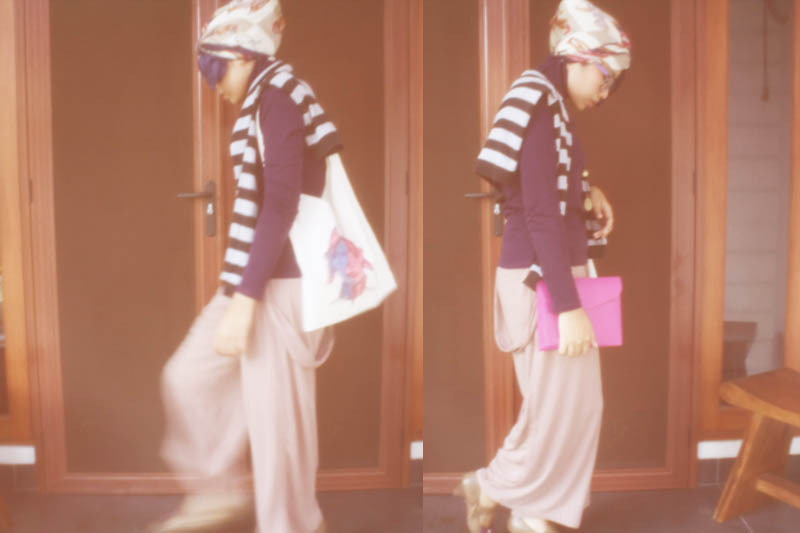 MashaAllah, You should also check out heart Hijabs, you will love there hijabs.